Who invented Bowling? The name of a specific person has never been credited with the invention of Bowling. When was Bowling invented Bowling? Historians tend to agree that Bowling was invented in c. 3100 B.C. and the first known evidence of the game dates back to the Ancient Egyptian: Early Dynastic Period (3100 - 2686 BCE) of invention. Definition of Bowling: Bowling is defined as a game of tenpins or duckpins in which a heavy ball is rolled down a special alley, usually made of wood, at a group of wooden pins, especially the games of tenpin (tenpins) and skittles (ninepins) with the aim of knocking them over. Fact 1: Who invented Bowling? The name of the inventor of Bowling is unknown but it is believed to have been invented in c. 3100 B.C. during the Ancient Egyptian: Early Dynastic Period (3100 - 2686 BCE) era of inventions. Fact 2: Who invented Bowling? The oldest evidence of the Ancient Egyptian game of bowling was found in 1932 by Sir Flinders Petrie in an Ancient Egyptian grave which contained various archaic bowling pins and bowling balls. Fact 3: Who invented Bowling? The throwing, or rolling, of stones to hit a target or mark is certainly among the earliest of games and sports in human history. Fact 4: Who invented Bowling? The word 'bowl' derives from old English to mean a 'wooden ball' and the word bowl eventually took on the meaning of "to roll a ball on the ground". The word 'pin' derives from the Old English word 'pinn' which originally meant a jutting peg or bolt. Fact 5: Who invented Bowling? The invention of Bowling in c. 3100 B.C. led to the much later invention of bowls and skittles during the Medieval era and a similar version of skittles called 'Ninepin bowling' was introduced to America from Europe during the colonial era. 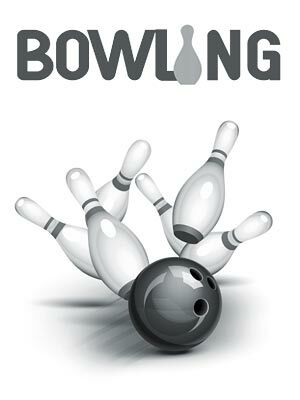 Different forms of the sport such as candlepin bowling was introduced in 1880 and duckpin bowling was invented in 1895. Fact 6: Who invented Bowling? The invention of the game of Bowls dates back to the 13th century when images of the the sport were used to illustrate Medieval manuscripts. An annual bowls tournament was known to have been held in Southampton, England in 1299 and details of this event include first reference to the use of a 'bowling green'. Fact 7: Who invented Bowling? The game of Bowls became so popular that, together with other sports and games, was banned on a Sunday in 1366 by King Edward III of England so that men would concentrate on archery practice. Fact 8: Who invented Bowling? The most famous story related to bowls relates to the legend of the Elizabethan sailor and explorer Sir Francis Drake who famously finished his game of bowls on Plymouth Hoe in Devon before he joined in the fray against the great Spanish Armada that threatened to invade England in 1588. Fact 9: Who invented Bowling? The modern version of tenpin bowling originated in America as a variant of the German nine-pin game 'Kegeln' aka 'Kegel' (the German name for skittle) which was introduced to the New World by German immigrants. Kegel was played as a gambling game in which large amounts of money were won and lost. Fact 10: Who invented Bowling? In 1733 Bowling Green Park was opened and is the oldest public park in New York City. The park got its name for its inclusion of a bowling green. Fact 11: Who invented Bowling? The popular game of Bowling was mentioned in the famous American story of Rip Van Winkle by Washington Irving that was published in 1812. In the story Rip Van Winkle was woken up by the sound of "crashing ninepins". Fact 12: Who invented Bowling? The first indoor bowling alley was Knickerbockers of New York City, that was built in 1840. Fact 13: Who invented Bowling? The American game of 'ninepins' continued the betting history of the game to such an extent that in 1841 the state of Connecticut passed a law making it illegal to maintain "any ninepin lanes". Wealthy people circumnavigated the law by building private lanes in their mansions. Fact 14: Who invented Bowling? Adding an extra pin to the banned game of 'ninepins' exploited a loophole in the law and enabled ordinary people to continue playing the game. The game of Ninepins thus changed to the game of Tenpins. Fact 15: Who invented Bowling? Candlepin bowling, which used more slender pins, was developed in 1880 in Worcester, Massachusetts, by Justin White, a local billiards and bowling center owner. Fact 16: Who invented Bowling? The first standardisation of the rules for the sport was established at Beethoven Hall in New York City on September 9, 1895 as the American Bowling Congress and major national bowling competitions were established. Fact 17: Who invented Bowling? Duckpin bowling, which used shorter, lighter but squatter pins, was developed in Baltimore around 1900 at a bowling, billiards and pool hall owned by John McGraw and Wilbert Robinson. Fact 18: Who invented Bowling? Bowling balls were traditionally made from a dense hardwood but in 1905 this changed when the first rubber ball, or Mineralite ball, was introduced to the game. The material of the balls changed with the advances of new technology and polyester ("plastic") balls were produced in the late 1950s and polyurethane ("urethane") balls were introduced during the 1980's. Modern bowling balls are made from particle and reactive resin balls. Fact 20: Who invented Bowling? In 1951, American Machine and Foundry Company (AMF) purchased the patents to Gottfried Schmidt's automatic mechanical pinsetter, and produced the machine called the "Pinspotter". Fact 21: Who invented Bowling? Some of the first automatic mechanical pinsetters were installed at Roselle Lanes (16 lanes) in Roselle, New Jersey in April 1956. Fact 22: Who invented Bowling? In 1958 the Professional Bowlers Association (PBA) was founded by Eddie Elias, a television sports interviewer. It was Eddie Elias that turned the game into one of the longest continuing sports series on network TV and continued to be involved in the PBA until his death in 1998. Fact 20: Who invented Bowling? The game and sport of bowling continues its popularity to the present day with over 95 million enthusiastic bowlers playing across over 90 countries.